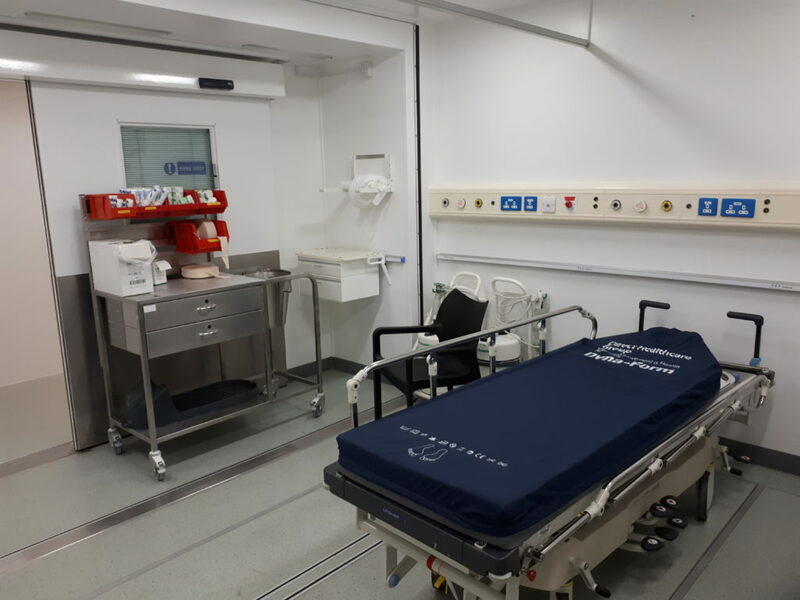 Vanguard has created a temporary Minor Injuries Unit (MIU) at one of Scotland’s busiest hospitals. 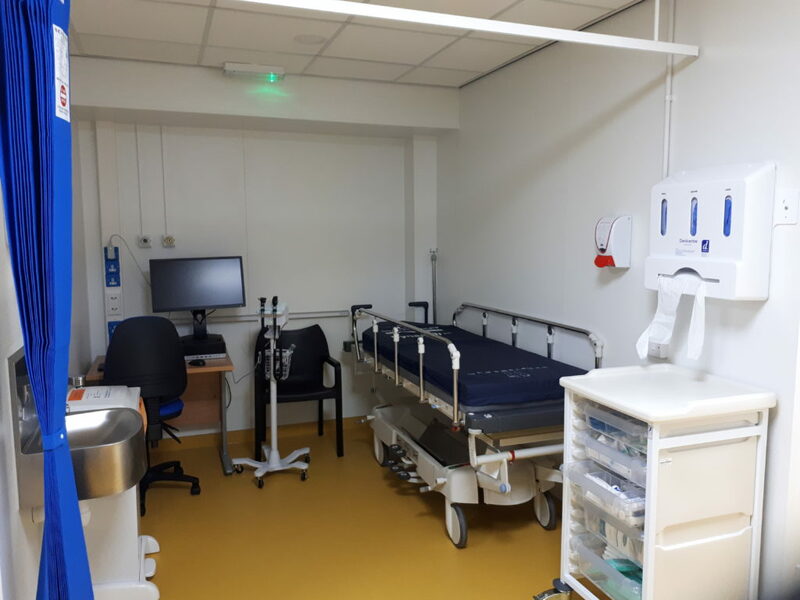 “The Minor Injuries Unit at the Royal Infirmary of Edinburgh is proving to be a great addition to our unscheduled care services in NHS Lothian. Simon Squirrell, Regional Manager at Vanguard Healthcare Solutions, explained: “By consulting with the hospital on their needs in relation to the patient pathway, how many patients they expected to see in the unit and on exactly what the clinical requirements for the unit would be, we were able to propose a bespoke solution. This end-to-end consultation process means we have created a solution for NHS Lothian which provides a complete clinical environment where patients can be booked in, prepared, have their treatment and recover, providing a seamless experience for the patient. 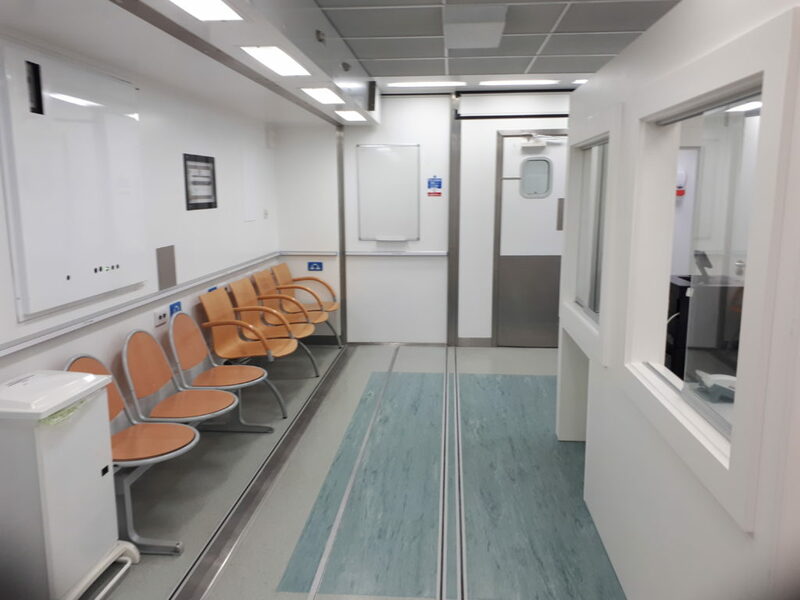 The finished result offers a reception and waiting area, treatment room, p laster room, eye wash room, six treatment bays, clean and dirty utility spaces, lavatories and a changing room.